If you’re reading this, you know the power of God’s Word to lift your head when you’re down, direct your steps when you’re confused, and give you peace in our stress-filled world. 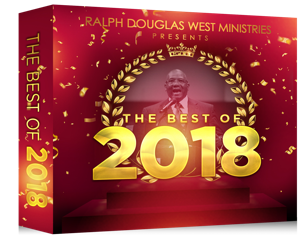 That’s why we want to thank you for your generous year-end gift by sending you Pastor West’s five most-streamed sermons of the year, the Best of 2018. This CD collection covers the most popular topics to answer your most pressing questions with practical help and wisdom pulled straight from the pages of Scripture. The Best of 2018 is our thanks for your gift today to continue spreading the Gospel. Remember, your gift today when combined with the $40,000 Challenge Grant will go TWICE as far to help hit the $100,000 year-end goal in time – so please don’t wait. Thank you for giving now to encourage and empower more people to live for Jesus!